Report of Thai Listed Companies 2017, assessed by Thai Institute of Directors Association (IOD), the Company was 1 of 110 companies which received the scores as “Excellent or 5 Stars” from all assessed 620 listed companies. In 2016, the Company was 1 of 80 companies which received the scores as “Excellent or 5 Stars” from all assessed 601 listed companies. The Company has emphasized and improved the quality of the annual general meeting regularly and continuously. 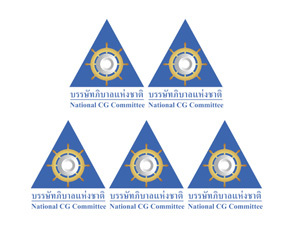 From the Annual General Meeting Checklist (AGM Checklist), assessed by Thai Investors Association, the Company got 100 marks (full marks) as its 6th consecutive year since 2012. The Company was ranked as 1 of 100 securities possessing the outstanding Environmental, Social and Governance (ESG) - related operations for 2 consecutive years from the 656 companies nationwide in 2017 and 621 companies nationwide in 2016.